The cricketing fraternity awaits exciting times ahead as some of the best players will be up for grabs at the Indian Premier League Players' auction in Bangalore, on Saturday. Harish Kotian presents the the top-10 picks at the IPL Auction. The world of cricket will wait and watch with bathed breath as some of the best players will be up for grabs at the Indian Premier League Players' auction in Bangalore, on Saturday. While 12 players have already been retained by various franchises, there are still 349 top players (after the withdrawal of Anil Kumble) in the auction pool and many of them could end up enrolling themselves as the new millionaires at the start of the new decade. 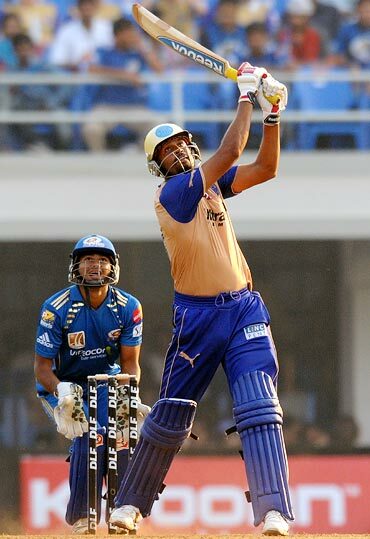 Yusuf Pathan, who was surprisingly not retained by Rajasthan Royals, looks good to break all records. He could be signed up as the highest-paid player in the history of the tournament. The Baroda all-rounder has proved to be one of the most dangerous players in the three editions of the Twenty20 tournament and his recent form at the international level, including a match-winning century against New Zealand, should definitely make him the hot pick at the auction. The auction will have ten franchises competing against each other. Yusuf will get good competition from Zaheer Khan, who has emerged as one of the best fast bowlers in the world, while left-handers Yuvraj Singh and Gautam Gambhir, who have the potential to win matches on their own, will also be in the shopping list of all the franchises. In fact, all the Indian players playing in the limited overs format including ODIs and T20s, will get good prices, for the simple reason that they are in short supply and will be available for the entire tournament. Veterans Rahul Dravid and Sourav Ganguly may not be among the top picks, but will definitely end up getting a big pay packet. 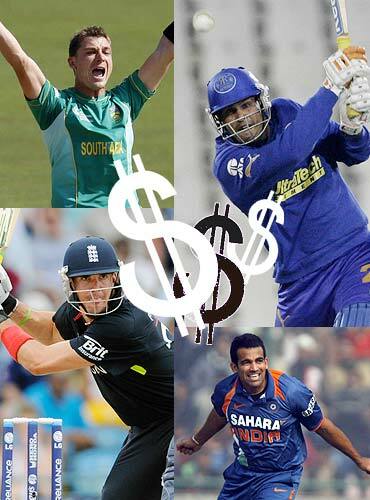 Among foreign players, there are quite a few top names but Kevin Pietersen is definitely the most wanted player. England, the current World T20 champions, who are on a high after crushing Australia in the Ashes, might see a number of their star players going at good prices. Graeme Swann, Alistair Cook, James Anderson and Stuart Broad have shown their versatility in all three formats and should be in the shopping list of all the franchises. The South Africans are not far behind with quite a few match-winners in their ranks. ICC ODI Player of the Year AB de Villiers and the world's No 1 Test bowler Dale Steyn will be in big demand along with captain Graeme Smith and the in-form Hashim Amla. The Kiwis also boast of some good specialist Twenty20 players in captain Daniel Vettori, Ross Taylor and Brendon McCullum, who have proved their worth in the previous three editions of the IPL. 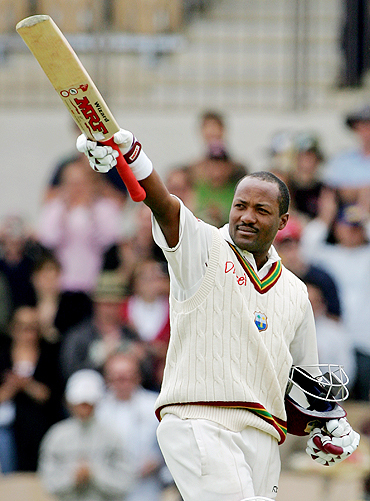 Chris Gayle and Dwayne Bravo would certainly command a high price among players from the Caribbean, while Brian Lara is also expected to get a good offer. Sri Lanka's all-rounder Angelo Mathews could be another hot pick at the auction, while his fellow countrymen Kumar Sangakkara, Mahela Jayawardene and Tillakaratne Dilshan should also get good offers. Shaun Marsh, top scorer in the inaugural IPL in 2008, will once again be most desired by the franchises along with team-mates Peter Siddle and vice-captain Michael Clarke. Adam Gilchrist, who captained Deccan Chargers to the 2009 IPL title, will once again be in demand, with compatriot Andrew Symonds, who no longer plays international cricket. Bangladesh captain Shakib-Al Hasan could also spring a surprise at the auction, while the efforts of Doug Bollinger and Dirk Nannes in the previous tournaments could serve them well. The franchises have each been allocated a purse of $9 million for the players' auction, ensuring that there will be a stiff competition among the ten teams to get the signature of the top players. Yusuf Pathan is only player every franchise would like to have in their team. Not only can Yusuf change the course of a match in a matter of overs, but is also capable of making useful contributions with the ball. In the 2008 edition, he scored 435 runs and claimed eight wickets to help Rajasthan Royals win the tournament. The right-hander showed his prowess with the bat last year when he scored a 37-ball century against the Mumbai Indians in one of the most destructive innings ever seen at the Brabourne stadium in Mumbai. Yusuf has enjoyed a good season with the bat in domestic cricket and followed that up with a splendid match-winning century (123 from 96 balls) against New Zealand in a ODI last month. 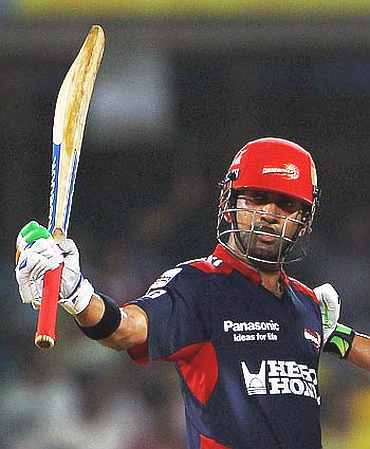 It was a shocking decision when Delhi Daredevils opted not to retain their captain Gautam Gambhir. Gambhir has been one of the most consistent performers for India in all three formats, but is highly destructive in the Twenty20s. He played a big part in helping India win the 2007 World Twenty20 championship with 227 runs in the tournament, including a blazing 75 from 54 balls against Pakistan in the final. He was second highest run-scorer in 2008 with 534 runs in 14 matches, but could not impress much in the last two seasons. But as Gambhir proved in the third and final Test against South Africa, with a battling half-century to help India draw the match and series, he is the man for a crisis! Yuvraj Singh will also be on the shopping list of every franchise. The left-hander, who boasts of the world record of hitting six sixes in a Twenty20 match, forms an integral part of the Indian ODI and T20 teams. He also holds the unique record of having taken two hat-tricks in the IPL, a feat he achieved in 2009 against Royal Challengers Bangalore and Deccan Chargers respectively. Yuvraj signed up as the icon player for Kings XI Punjab and captained the team for two seasons, before the owners decided to give the captaincy to Kumar Sangakkara last year following Yuvraj's poor run with the bat. His attitude has been also questioned several times for his off-field antics. But it is his ability with the bat that matters and no doubt there would be more than one taker for this Punjab hard-hitting batsman. It was a shock when Mumbai Indians preferred to retain Lasith Malinga ahead of Zaheer Khan. But the left-arm pacer has emerged as one of the top fast bowlers in the world and should be in top demand at the auction. 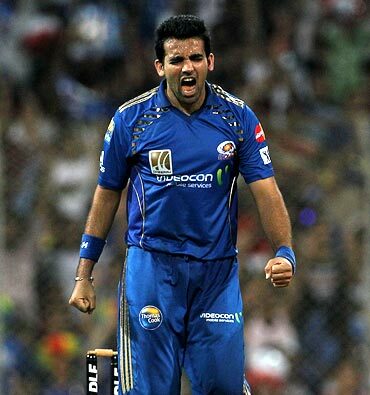 He played a big part in helping Mumbai Indians reach the final last year with a haul of 15 wickets in 14 games. Zaheer, who can swing the ball both ways and is also effective with the reverse swing, has a great deal of experience bowling on Indian pitches. It is surprising that the best and most dangerous fast bowler in the world commands a modest base price of $200,000. But that is only the starting price and there could well be a long bidding war to secure his signature on the dotted line. Steyn showed his impact during the recently-concluded Test series against India, where he took 21 wickets in three matches with his sheer pace and swing. He played three seasons for the Royal Challengers Bangalore, who must now be ruing not having retained his services. 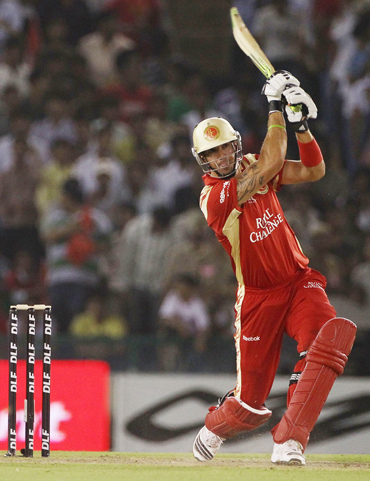 Kevin Pietersen is another Royal Challengers Bangalore player, who could be in big demand at the players' auction. He played a major role in England's World Twenty20 triumph last year when he blasted 248 runs in six matches at an average of 62. Pietersen was the highest-paid player in the 2009 IPL when Bangalore bought him for a whopping $1.55 million, but he failed to justify his price tag. But the right-hander's splendid performance with the bat in England's Ashes triumph will certainly not go unnoticed. 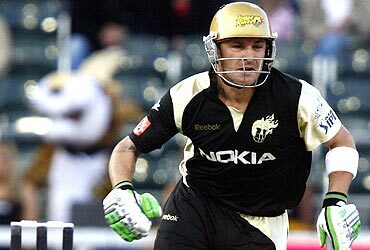 Brendon McCullum created history when he blasted 158 not out in the first ever match of the IPL, which still stands as the world record for the highest score by a batsman in a Twenty20 match. He is an all-rounder that every team would want. McCullum is quite reliable behind the wickets, while he is also destructive with the bat. Though he has not done much of note since that century, he remains one of the most dangerous openers in world cricket. Chris Gayle has not set the world on fire when it comes to the IPL. But he is a handy batsman to have at the top of the order with his ability to clear the boundaries with ease. Recently, he became only the fourth player to hit two triple centuries in Tests when he smashed 333 against Sri Lanka in Galle last year. He also holds the record of being the first player to score a century in Twenty20 internationals. 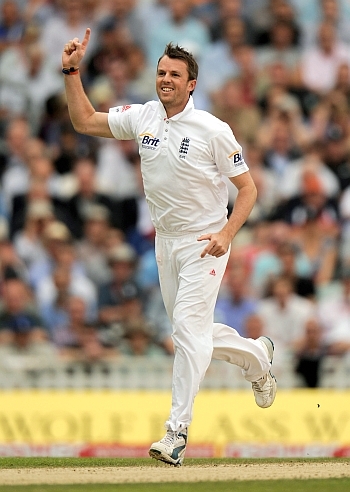 Graeme Swann has been rated as the best spinner in the world and there is no doubt that the franchises would be clamouring to sign up the England spinner. Shane Warne described Swann as the "most improved cricketer in the world" and he certainly proved it with his role in England's Ashes triumph. Swann has been equally lethal in the T20 format as was proved by his performance in the World T20 last year, when he took 10 wickets in seven matches. He is also quite handy with the bat lower down the order and is a very good fielder, a trait necessary to be a high class T20 player. The inventor of the famous Dil-Scoop (the scoop shot played over the wicketkeeper), a shot that has now become famous in Twenty20 cricket, Tillakaratne Dilshan is one of most exciting batsmen in the world. In the World Twenty20 tournament in 2009, he was rated as the player of the tournament for his exploits with the bat with 317 runs in seven matches that saw Sri Lanka finish runners-up to Pakistan. He is also handy with the ball, with his ability to break partnerships with his part-time off-spinners, while he can also keep wickets if need be.